Mad science is the punkest s*** there is. Teenage sweethearts Nat & Sumesh spend their nights breaking into abandoned superlabs to steal the parts they need to build a time machine - and they’ve just found the most important part. But mysterious entities keep trying to stop them turning it on. Now all they’ve gotta do is hang on long enough to figure out why. 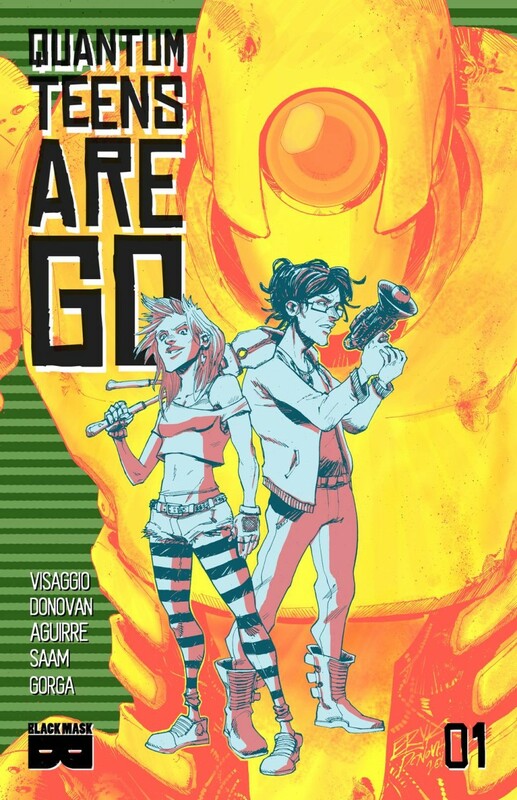 Magdalene Visaggio (Kim & Kim) and Eryk Donovan (Memetic) bring you a high-octane adventure full of robots, muscle cars, and queer-a** skater punks.